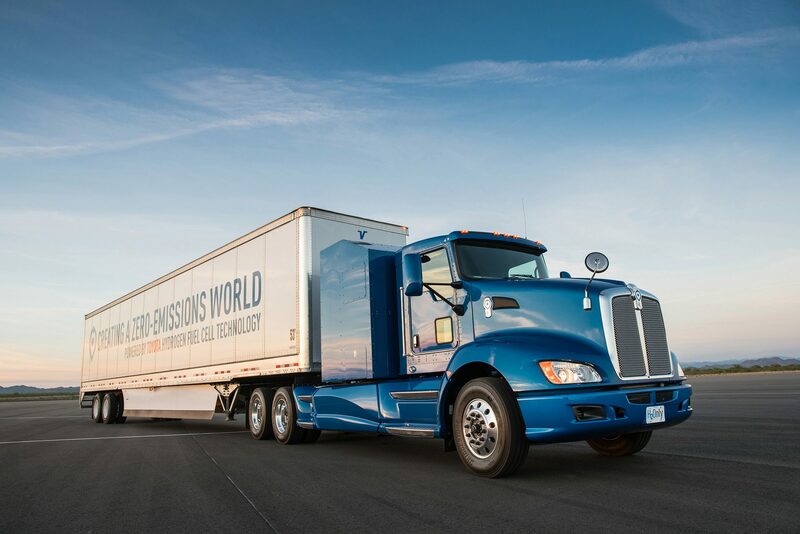 Toyota is hoping the hydrogen fuel cell powertrain from its mid-sized Mirai will find more success under the hood of a big rig. The Japanese automaker on Wednesday at the Port of Los Angeles unveiled a prototype semi-truck called Project Portal that uses the same fuel cell stacks found in the 4-door sedan (plus a 12 kWh battery pack). As Electrek notes, the powertrain is reportedly capable of generating more than 670 horsepower and 1,325 pound-feet of torque. With those figures, Toyota says it’s good for a gross combined weight capacity of 80,000 pounds and can travel more than 200 miles per fill. Toyota first unveiled its Mirai hydrogen fuel cell vehicle in 2014 but has only managed to sell a few thousand units cumulatively in subsequent years. Toyota said it is launching a feasibility study to examine potential use cases for the semi. Electrek isn’t all that optimistic regarding the project’s outlook. According to the publication, hydrogen isn’t likely to triumph over batteries for powering the next-generation of zero-emission transportation. That’s because, according to their claims, the entire end-to-end process from production to consumption is three times more energy efficient for battery-powered vehicles than hydrogen fuel cell vehicles. Semi-trucks have been an area of heavy interest in the tech community as of late with players like Tesla, Otto (Uber) and Nikola Motor Company actively working to develop long-haul trucks.